Ignacio Cofone is an Assistant Professor of Law at McGill University. His research focuses on information privacy, technology law, and behavioral law & economics. His latest projects address how to conceptualize and model privacy harms, and how to design informational rules that prevent discrimination. 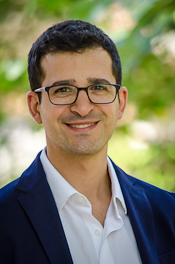 Before joining McGill, Cofone was a research fellow at the NYU Information Law Institute, a resident fellow at the Yale Law School Information Society Project, and a legal advisor for the City of Buenos Aires. He obtained his law degree from Austral University, an MA from the University of Bologna, a joint PhD from Erasmus University Rotterdam and Hamburg University, where he was an Erasmus Mundus Fellow, and an LLM and JSD from Yale Law School. "Nothing to Hide, but Something to Lose" (with Adriana Robertson) University of Toronto Law Journal (2019, forthcoming). Read on SSRN. "Servers and Waiters: What Matters in the Law of A.I.," 21 Stanford Technology Law Review 1 (2018). "Consumer Privacy in a Behavioral World," 69 Hastings Law Journal 1471 (2018) (with Adriana Robertson). "Privacy Harms," 69 Hastings Law Journal 1039 (2018) (with Adriana Robertson).